Indoor training means a lot of sweating. This sweat set includes a sweat cover to protect your bike from perspiration and a training towel designed for indoor training. Maximise your training time in the utmost comfort, whilst protecting your bike. The practical Tacx T2935 Sweat Set contains a moisture absorbing sweat cover with a separate smartphone compartment and a high-quality Tacx trainer towel. 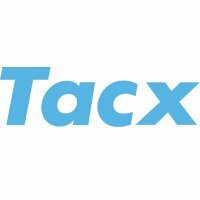 The high-quality Tacx T2940 terry towel is specifically designed to support you during exhausting indoor training sessions that make you sweat. The soft material is highly absorbent and thanks to compact dimensions (approx. 115 cm x 30 cm) it can also be worn e.g. around your neck.